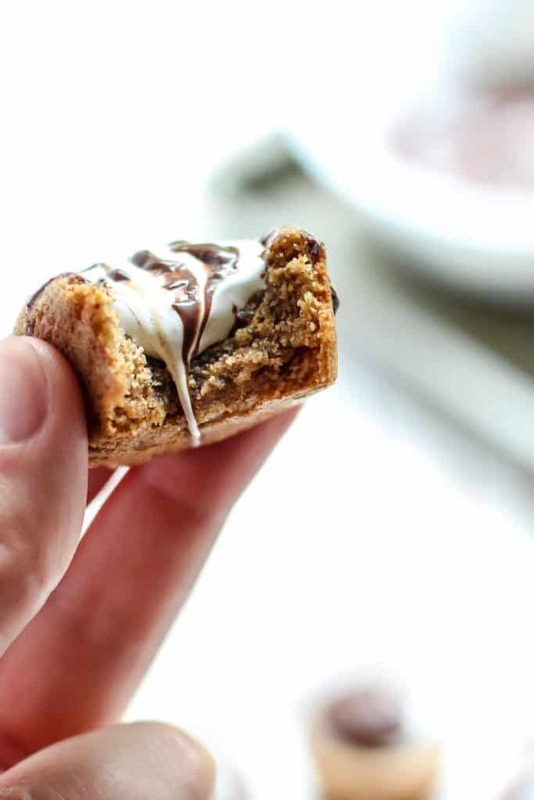 Almond Butter Cookie S’mores Cups! You won’t believe these are gluten-free, dairy-free, and can even be made paleo-friendly! You must make these little treats, seriously. Okay, guys… I can barely contain my excitement so can we please just get right to it? GREAT. 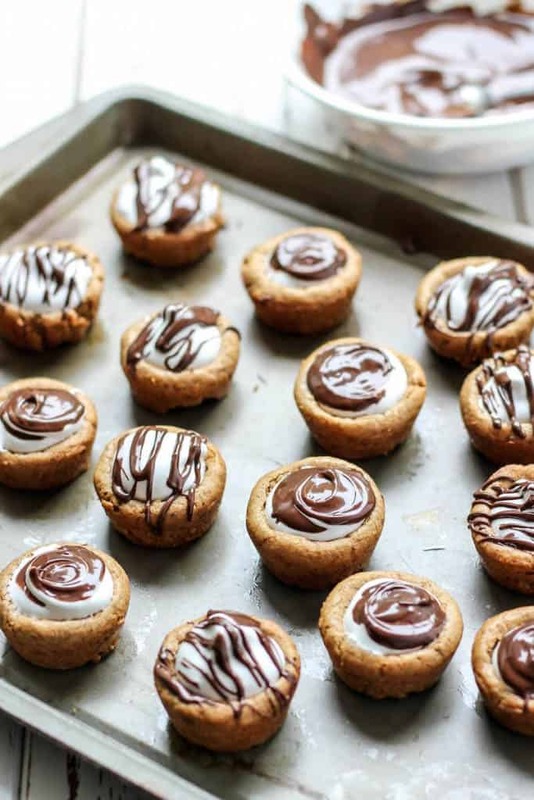 I’m sharing freakin’ awesome little almond butter cookie cups with homemade marshmallow fluff topped with chocolate. (!!!) Can I get a AMEN!? Calm down, Ashley. 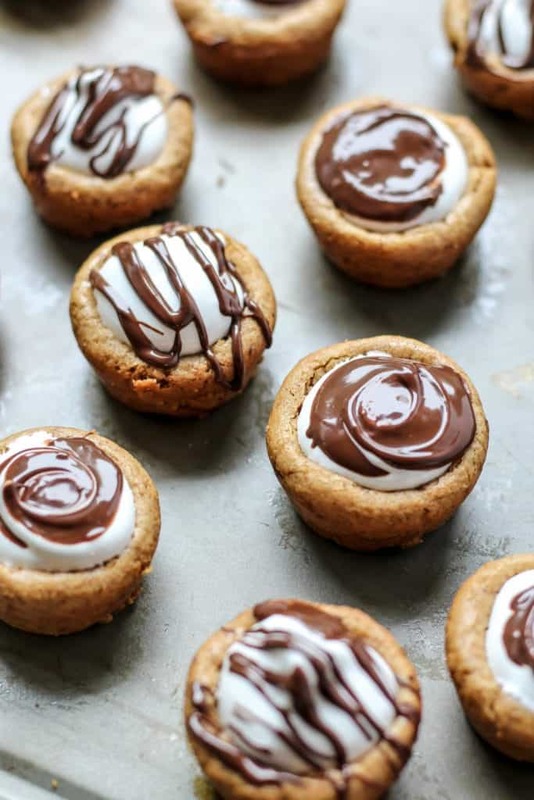 I know it is summertime and maybe I could have/should have shared with you a no-bake s’mores dessert, but these cookies just kind of happened. And I ain’t mad about it. And you shouldn’t be either. Because, guess what? 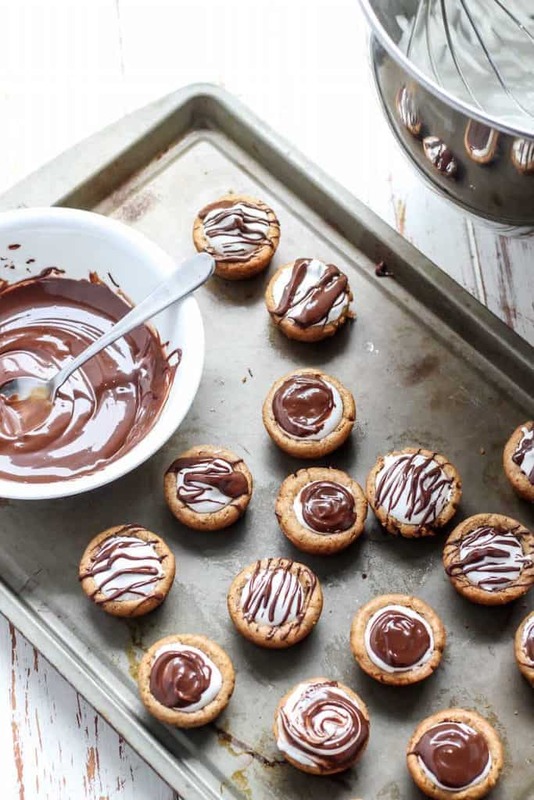 These little guys are made with almond butter, use no flour (not even coconut or almond flour), are grain-free/gluten-free, they don’t even have butter or oil, AND they just so happen to also be paleo-friendly. And YES, they still taste GREAT. We’re winning at life today, folks. Now I will keep it real with you… the marshmallow fluff? Not QUITE paleo. However, I did take the time to make my own and the recipe I used doesn’t use corn syrup. All you need for it is one egg white, water, granulated sugar, and vanilla. And let me tell you, the results were AWESOME. I also tested another version using gelatin and I subbed erythritol sugar, but I think I beat it for too long, and I could taste the sugar crystals, so that was a no-go. At that point I suppose I could have just gone to the store to buy marshmallow fluff… but I was too stubborn. 😀 I knew I could make it work and that is when I found this recipe. If you do want a paleo version, after reading through the recipe and some reader comments, I would suggest this paleo marshmallow recipe. The only reason I didn’t go this route was because I didn’t have enough honey on hand. 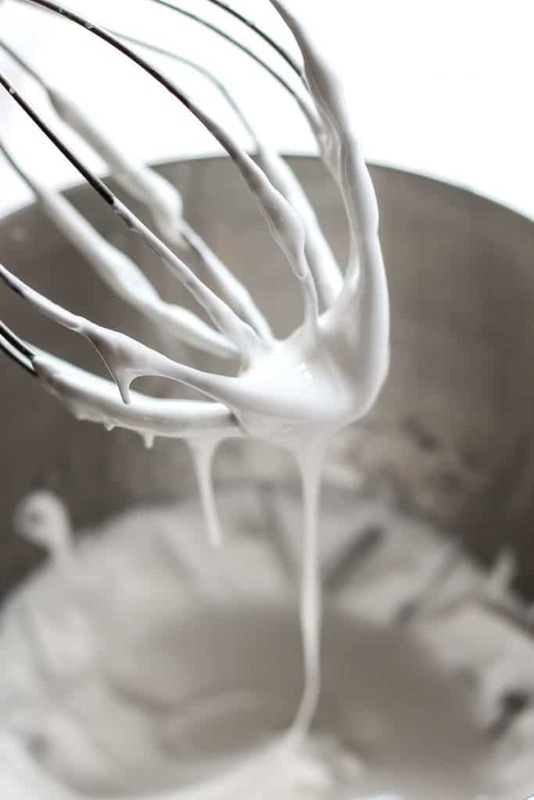 Making your own marshmallow fluff may seem silly or daunting to some… but it is actually very easy and rather inexpensive! The cookies will puff up a bit in the mini muffin pan, but once cooled for a couple minutes they’ll fall slightly and then you just make a little indent with your finger or the back of a spoon. Then we fill da cups! There is something about making little desserts that I love. It’s kind of therapeutic, in a sense… maybe it is the repetition of filling each cup. Or the creativity behind it. I mean, they’re kind of little masterpieces, yes? Preheat oven to 325F and generously grease a 24 cup mini muffin pan, set aside. In a large bowl beat egg on medium speed. Add in almond butter, vanilla extract, coconut sugar, cinnamon, nutmeg, baking soda. Mix together on medium speed until fully combined. Mixture will feel thick and sticky. Transfer cookie cups to baking sheet. 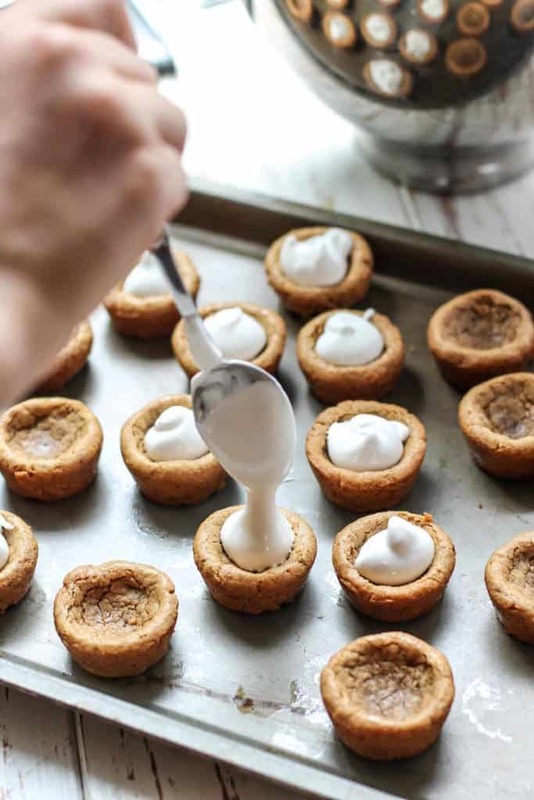 Using small spoon, fill cookie cups with marshmallow fluff (you will likely have to use your finger to scoop the fluff into the cookie cups). Next cover in melted chocolate, about 1/2 tsp or so. Drizzle or cover the fluff completely. Allow chocolate to set at room temperature, or place in fridge for 5-10 minutes. These little cookie s’mores cups are now ready to go! For paleo-friendly marshmallow fluff, you could make this recipe through step 5 (just use the cream and don’t put in pan), but I have not tested this exact version myself. You will likely have leftover marshmallow fluff. You could make a double batch of these cookies, or store in fridge up to two weeks. Cookies may be stored at room temperature up to 3 days fresh, or in fridge up to 5 days. how do you feel about s’mores? have you made your own marshmallows or fluff before? 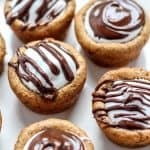 these cookie cups are INSANE! You can never go wrong with S’mores anything!!! Drooling over these! Thanks Rachel! I agree, s’mores anything is a winner. Goodness these are gorgeous!!! I want a big stack of these to eat while watching Bachelorette tonight bahah why is that my first thought. I need help. Hahaha they would be the perfect TV treat! Major drool fest over here! These look so good!! I love s’mores around the campfire during the summer — I usually only eat one and am good, but I just love the feel of roasting marshmallows over the campfire this time of year. Oh my gosh these look fantastic!!!! I’ve never made my own marshmallows/ fluff before but such a great idea. I always get a little freaked out reading the ingredient labels in the grocery store! These are adorable – perfect for summer parties. You can just grab and go! S’mores are one of my favorite treats. I’m totally giving these a try! They look easy but super tasty! but seriouslyyyyyy Ashley. When are you going to invite me over?! I can’t stand another day of these recipes not in my mouth hole. Also congrats on your one year bloggiverary. You’re simply an inspiration and a role model to show just HOW MUCH can get accomplished in one year. You motivate me every day! Okay okay.. WHAT!!! It blows my mind that these are gain/dairy free and potentially paleo friendly. Like, pictures that look like THESE love bites usually aren’t able to carry those titles! I feel like I should give you a standing ovation ;). I’m drooling all over my laptop right now haha. Such the perfect summer dessert! Ah so glad you agree Ellen! Kudos on the marshmallow fluff as that ish sounds LEGIT. These are adorable and YAY for s’mores! It was totally worth it… Although maybe that would be a different story if I had to stand over the fluff with a hand mixer for 10 minutes (which I have done in the past). I used my stand mixer which made it a ton easier. Girl you are all over the drool worthy treats lately! I’m trying to read fast so I’m not tempted to make them. Smores are one of my favorite salty/sweet/texture combination. Seriously. I have to limit myself when I go camping!! These look absolutely delishhhh! 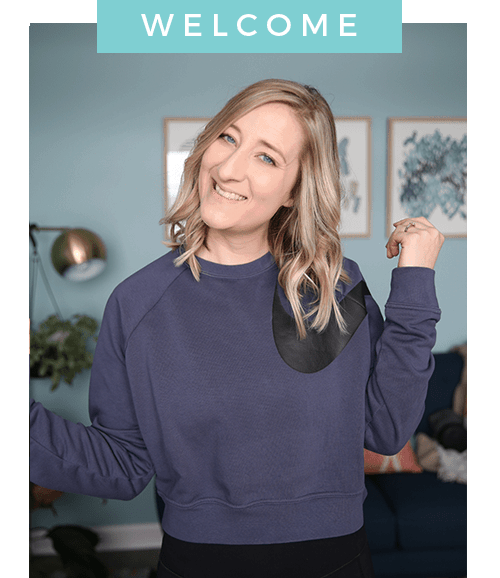 And sometimes I get wayyyyy too excited about a certain recipe that I cannot stop talking about it, so it’s totally relatable to read about how excited you are! I don’t know why I’m looking at food blogs at 11:14 PM at night, but these were so drool worthy on Instagram, and they are even more so now. I love Paleo(ish) and Paleo goods, so these look amazing to me. 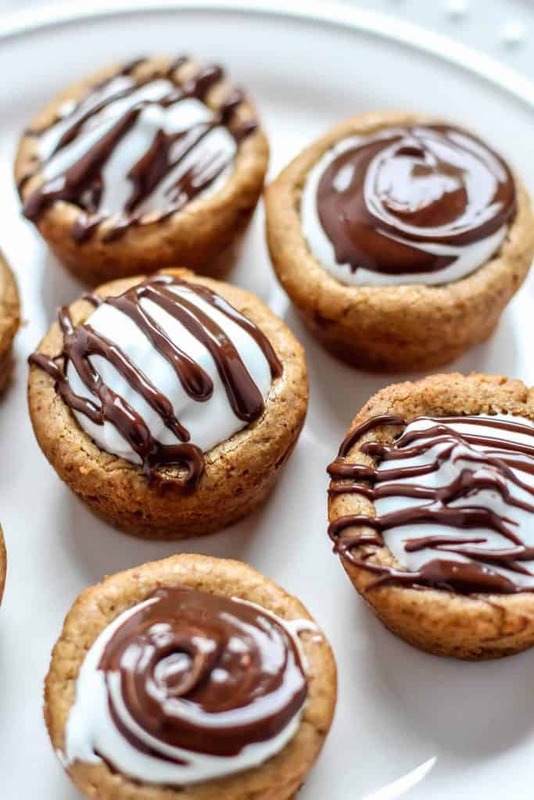 Marshmallow fluff, chocolate syrup, and cookies… How could you go wrong, and I totally know that excitement over sharing a recipe, although mine don’t QUITeee look that good yet. 🙂 Learning from the best though! AMEN. Dude, these look amazing and I’ve been obsessed with the S’mores flavor combination lately! So, I can totally vouch for that particular paleo marshmallow recipe, I experimented with it last week- I reckon it would work really well for these cookie cups because it’s not mixed through (I used it in bars and it got lost within lol..so I had to top it randomly). Ah yay! That is awesome to hear 😀 Can’t wait to see your creation. TEACH ME YOUR DRIZZLE WAYS!! Apologies for the all caps. But srsly. 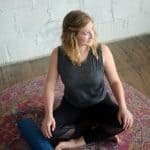 Video tutorial?? Perfect timing! I was just looking for a healthy take on a S’mores recipe. I’ve never made marshmallow fluff before, but might have to try it – these look delicious! It’s so easy to make the fluff! Easier if you have a stand mixer, but I’ve done it before with a hand mixer too 🙂 Let me know if you make it! Hi Ashley! First time visitor here. I’m so glad you found my marshmallow sauce recipe and that it worked for you! Thanks for linking to it. <3 I'm a huuuuge sucker for anything s'mores related and will definitely be making these at some point. I haven't rocked the paleo in a long time, but I still love me some grain-free goodies. 😀 Your photos are absolutely gorgeous! Hi Marissa! Thanks so much for stopping by. Your recipe was seriously thorough and I was so impressed with the results. It truly was PERFECT. 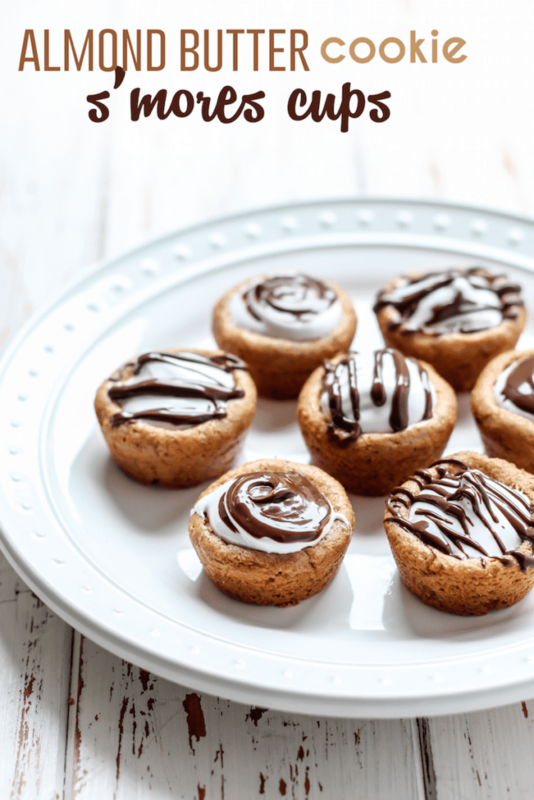 I hope you try the cookies cups sometime, they’re a great little treat! Hi there! I’ve been drooling over these for days and decided to make them today. I am currently sitting on the couch waiting for my fluff to thicken. It’s been over 10 minutes in my stand mixer and I’m wondering if I did something wrong? Ah just seeing this now! Sometimes it could take longer than 10! Might depend on how long you let your whites beat first… I’m not an expert at marshmallow fluff, but it definitely takes patience! Did it work out for you okay?? these look amazing! any ideas on adding graham crackers to the mix? Hmmmm you could sprinkle the marshmallows with graham cracker crumbs?! If you’re looking to use graham crackers for the cookie base… you would likely need to add some oil in there, but couldn’t tell you a good amount without testing myself! Thanks Meg! Ok. So I followed the recipe for the crust and they turned out a little more fragile. Maybe I should have cooked them a bit longer but they are SO yummy. I didn’t do the fluff filling, made vanilla pudding and topped with fresh blueberries-which made the perfect dessert for my mini dinner party with my elderly parents. Wish I could share a photo of my final dessert!